Whether it’s on Twitter, Facebook, or LinkedIn, you’ll want to track down where each mention of your brand occurred. Getting a hold on how many people may have seen the post is the starting point for responding to negative customer feedback. You’ll want to see how many times it was shared, as well as gauging the severity of what was said. This is kind of the “damage control” portion of this process, and it’s important to begin mitigating things. While it’s easy to shout back at an unruly commenter or group, the safest approach comes through empathy. Whether the incident was your mistake or not, it’s often recommended to keep a cool, level approach to the situation. Try to imagine just how frustrated a customer is and do your best to relate to their post or review. Responding to negative customer feedback is really about taking responsibility when needed. At the same time, this doesn’t mean you need to bite the bullet if something wasn’t your fault. Each situation will be different, but using empathy in your response remains important. When it comes to social media, conversations between angered customers and a company often amounts to a spectator sport. Responding to negative customer feedback is as much about defending your reputation as it is finding a solution. If the backlash reaches a point where the public demands answers, issuing a statement may be needed. For smaller scale, individual customer incidents its best to deal with their issue in a channel where others may not see your response. While it’s tempting to blow up someone’s social media notifications or inbox, keep your replies to a minimum. Reply once to the initial concern, offering solutions or acknowledging responsibility. Anything beyond this should be an attempt to direct the conversation to a representative or somewhere more “behind the scenes.” When replying, stick to the facts and answer quickly. Don’t provide more information than is necessary. 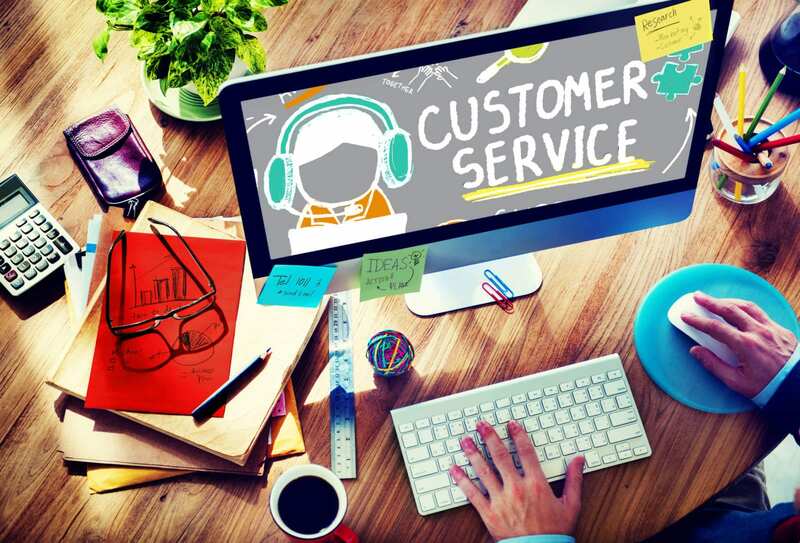 Obviously, social media wasn’t designed to be a customer service portal, so responding to negative customer feedback requires offline solutions. Whether it’s Twitter’s character limit or Facebook’s ever-changing feed, it’s important to consider how your channels can best resolve an issue. Sometimes, that really means connecting disgruntled customers with real people in your company. Again, reply only twice, ensuring that the second reply takes things out of the public eye. Likewise, if you are able to resolve the issue, posting the solution for the public to praise can have uplifting effects on your social presence and brand. So just to recap — responding to negative customer feedback means first locating where the feedback exists, showing empathy, responding publicly but concisely, and using your channels to display solutions. 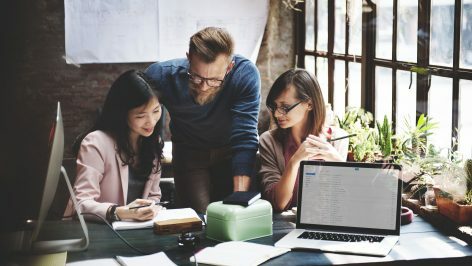 Following these basic ideas can help quell a crisis and keep your company or brand’s reputation from degrading too far. Do you have any experience responding to negative customer feedback? Let us know your techniques in the comments below! We get great benefits to enjoy here at Track5Media, from Hershey Park trips to a stellar healthcare package to free snacks. With all of these fun perks, it’s easy to overlook one of the most important benefits we have. I’m talking about employee reviews. While many cringe at the thought of having a performance review, I find them extremely helpful. Many employers don’t take the time to help you grow in your career. However, here at Track5Media, reviews happen twice a year. While I can’t speak for everyone, during my most recent review last week, I was praised for my accomplishments as well as critiqued and given suggestions on what to work on to become a better employee. I came away from my review not feeling discouraged, but feeling excited to work on improving myself as an employee. A week later, I’m in an interesting spot. I’m deciding what to do after an employee review. Luckily below are just a few things you can do after your employee review to ensure that you’re growing as a person and an employee. Don’t Forget the Good Stuff! One of the biggest issues that an employee will have is failing to acknowledge the good stuff that they heard in his or her review. If you haven’t done anything good during your time working for that company, it’s safe to say that you probably wouldn’t have made it to an employee review. Some employees have selective hearing, and will immediately brush aside any positive aspect of the review. Instead, they will focus on only the negative, which is detrimental in the long run. When you’re deciding what to do after an employee review, know that your remembering your strengths is just as important as fixing your weaknesses. 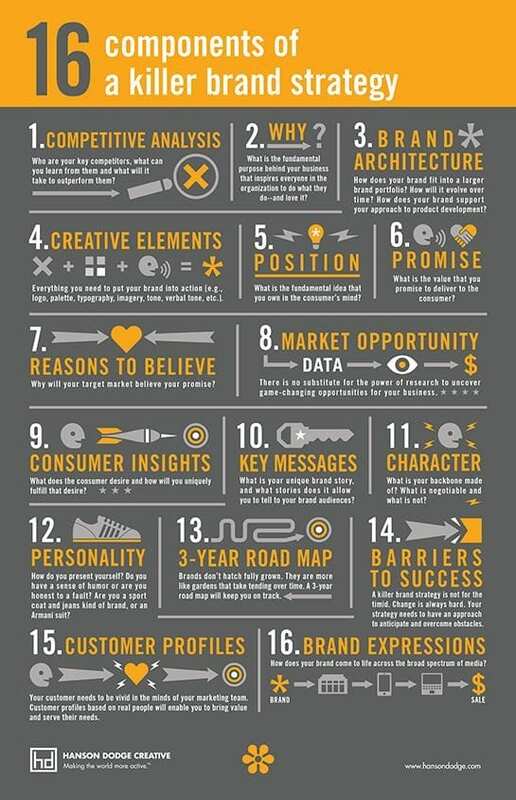 These strengths show exactly why you’re a vital part of the company. 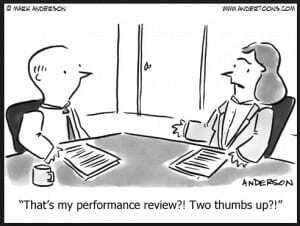 It can be easy to have a knee-jerk reaction after having a performance review, especially if it was bad. If you’re unsure about what to do after an employee review, one of the best things you can do is to sit down and reflect. It’s tempting to get angry or defensive, especially if you’re accustomed to positive reviews. However, this won’t do much good. Instead, take some time to think about where your manager or boss is coming from before you react too harshly. It’s one thing to vow that you’ll improve your performance before your next review, but it’s another to actually implement a plan to do it. If you want to know what to do after an employee review, start forming a plan of attack. Having a plan is a critical part of achieving any goal. Think of it this way: If you want to lose weight, you don’t just announce it to the world and expect the pounds to start falling off. The purpose of feedback is to help you improve your job, and that requires a detailed plan of action. That may involve learning new skills, reprioritizing your tasks, or reevaluating how you come across to colleagues. Creating a plan of action will not only help you improve as an employee, but it shows your manager that you’re willing to put in the effort. After you’ve put your plan into action, it’s important that you follow up with your manager. If you’re wondering what to do after an employee review, taking time to sit with your manager and review goals is a great step to take. Check in with he or she a month after your evaluation. Let them know what you’ve been doing to rectify the situation, and ask if they think your performance is improving. Getting periodic feedback is much better than waiting until your next annual or semi-annual review only to find out that your boss still isn’t pleased. A follow-up meeting is a great way to show your manager that you really are dedicated to improving your performance. Employee reviews should be the first step towards growing within your company. When you’re wondering what to do after an employee review, consider the suggestions provided above. As always, if you have other suggestions on making the most of employee reviews, feel free to comment below! It’s 2018 and business as usual — but that depends if top employees are committed for the long term. 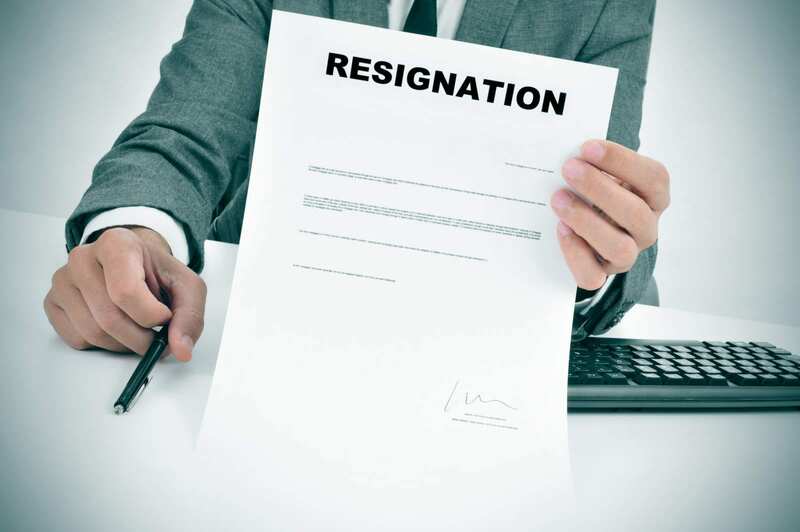 Things running smoothly quickly fall apart when a top employee decides to leave, even with a two-weeks notice. 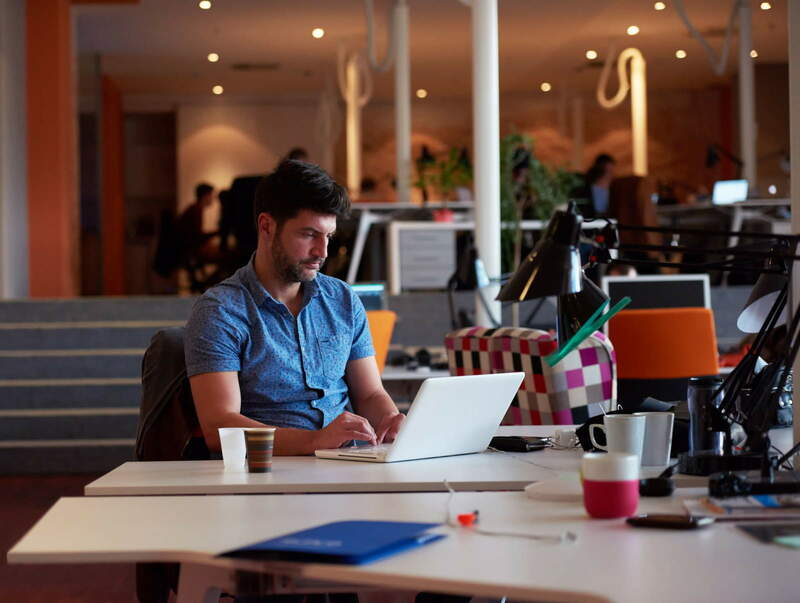 If your company is growing, it’s important to be fielding for new employees constantly. This is particularly true for professions allowing remote employmen, such as web development. Here we’ll talk about some ways employers are retaining top talent in 2018 and beyond! Start Your Career with Track5Media Today! When you finally land that “rockstar” candidate, you need to ensure they are fully content with what they’re getting into. Being able to set clear expectations from the very start means there’s no question of how they can hit the ground running. Working in a tech-heavy company like Track5Media sometimes means wearing many hats, so establishing that wardrobe ahead of time is key. At the same time, lay out ways they can grow and advance. If someone has a clear idea of their role and the things they can accomplish, they’ll hopefully stay on board to see it come to fruition! Once the expectations have been set, it comes down to solid managerial skills. Allowing someone to get right to work without a hitch helps new employees settle into their roles. This also plays heavily into someone’s long-term retention. If workers aren’t keeping the right pace or they are moving along briskly, managers need to respond accordingly. Really, it’s about keeping that ebb-and-flow for departments which helps employees settle into their roles over time. New employees bring fresh perspectives, seeing things that others miss. Although they may have joined in recently, staying open to employee suggestions creates a culture of participation. Retaining top talent in 2018 means connecting people beyond the daily activities of the job. It also means listening and responding to what employees think and feel in terms of internal decisions. Sure, not every suggestion is realistic, but sometimes it’s the consideration that really matters. We’re hiring today! Search for our open positions now. Retaining top talent in 2018 also means playing to someone’s skill set. If particularly employees thrive in one part of the business, see what ways their interest can be cultivated. There’s no better way to lose employees than by fitting them into a box they never signed up for. This goes along with setting expectations, although it centers heavily on managerial observations and suggestions as well. Try to bring out the best in someone, no matter what their job description requires. Additionally, consider how an employee can grow and advance their skills for years to come. The return on investment will be worth it! Similarly, if someone is not excelling as much as they could be, ask them what ways the company can better utilize their time. It’s all about having those productive conversations! While someone is coming aboard and settling in, it’s important to help them feel like a part of the team. Seniority certainly has its functions, although treating new employees with the same respect helps them stay aboard. Should they decide to remain on the team, they’ll have the prerogative to treat future hires with decency as well. There’s nothing that breeds contempt and disgruntled employees faster than favoritism and preferential treatment — even if it’s deserved! The same goes for employees who have been with the company for a long time. If someone new comes aboard and starts reaping benefits never before offered, that’s a quick way to degrade relationships. Overall, retaining top talent in 2018 is about hitting the basics mentioned above. What are some other ways your company keeps rockstar professionals in it to win it? Let us know in the comments below! It’s 9:30 am and everyone has finally started waking up for the day. Phones are ringing, loud laughter is punctuated by random coughs and grunts — then comes the Spotify playlist regurgitating generic pop songs for all to hear… Sound like your company’s open office? Well you’re part of the 70 percent of U.S. businesses currently utilizing this corporate feng shui to organize their offices for better or worse! Whatever your take, we’ll explore what surviving an open office plan really takes and how employees can stay working efficiently. Trickling down from Silicon Valley’s all-knowing corporate wizardry, open office plans have become the norm for many modern businesses. Mostly, this means large open spaces with desks, no walled offices, and very low partitions — or sometimes none at all! 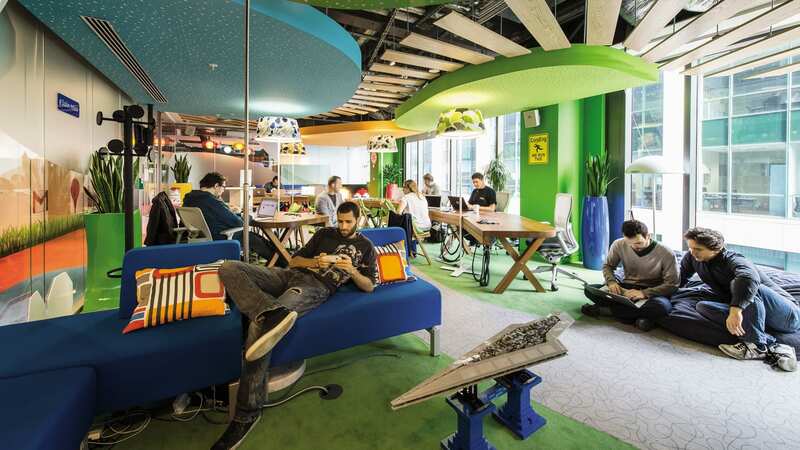 For trendy, techy startups, open office plans provide easily reconfigurable setups, and ultimately a way to cut costs. Bosses can keep tabs on employees with ease, and gazing out into a thrumming open office just looks productive… but is it? Since open office plans have become popular, studies show that many workers actually despise the ebb and flow these plans create. Many cite a lack of privacy, difficulty concentrating, and avoiding illness, as well as an all or nothing approach to environmental factors like lighting, temperature, sound, and smell. Disgruntled employees are also much less productive in an open office, although that’s an issue in and of itself. Crack Open That Suggestions Box! Sure, nobody really has an old, wooden box with specifically-worded pet peeves on note cards anymore, but that doesn’t mean the practice itself is outdated. If your company is growing and adding new team members into the mix, you may be due for a good ol’ roundtable on office etiquette. Just ask employees how they feel things are going with the open office. Be aware that broaching certain subjects can get a little too particular for some. If certain employees insist on eating strong smelling foods or others feel the need to scream into their phones, it’s important to address these issues in generalities. Singling out employees has the potential to create more issues than before, so tread lightly. Surviving an open office plan isn’t always as easy as just saying “hey stop eating stinky food,” or “just tune it out,” although that’s part of it. Many of the possible solutions come from working with the resources your company already has. Are there pieces of furniture you can rearrange? Can open team discussions take place in a quiet space instead? Where is the best place to eat that weird smelling sandwich? Designating particular zones for certain activities is one way to make surviving an open office easier. Sometimes, there are no real changes to make — so that’s up to you! If you’re feeling oddly stressed by every small crinkle of a water bottle or squeaky office chair, take a little stroll outside, and breathe deeply. I know, how zen of me to recommend, but honestly don’t knock it until you try it. Just pretend you’re a basketball player making a free-throw with screaming fans from the other team. Tune it out. Or maybe you’re a concert pianist with all ears on you. Focus inward. It takes practice, but it pays off if you can whip up some Buddha-like vibes to fend off annoyances. Otherwise, invest in some noise-canceling headphones or even a white-noise generator if you’re an employer. Also, consider ways to better partition an open space to cut down on visual distractions. Surviving an open office plan isn’t always easy, but with the right communal efforts, it’s definitely possible! What are your experiences with surviving an open office plan? Let us know your story and solutions in the comments below! Here at Track5Media, we’re always hiring. We also work with plenty of recruiters and agencies who are always hiring as well. Needless to say, the interview process is a familiar one. While there is no single recipe for a perfect interview process, there are a few things that can help you conduct an effective job interview. Anytime you are hiring a new employee, the costs of making a bad hire can be huge. With this in mind, it is important that you get the decision right the first time around. In order to do this, consider the following tips when preparing to run an interview! Of course, if you are hiring then you have some specific job responsibilities that need to be filled. However, it is important to fully assess what you need and want in your future employee. Failing to explicitly define job responsibilities, roles, and duties can create problems for both you and your job candidates before or after the hiring decision. Take the time before posting any job listings to talk with everybody relevant to the position within your company in order to gain a complete understanding of the hard and soft skills that will be useful in this role. 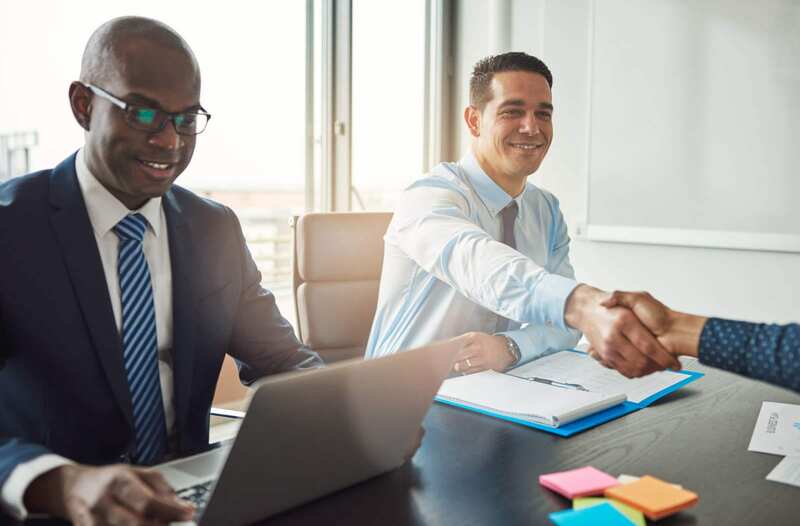 This can help the applicant to understand the role before applying and can ensure that everyone within your organization is on the same page regarding a new hire. Too often, interviewers fall victim to the belief that only the interviewee needs to prepare. Dedicate time before the meeting to closely review the candidates’ application materials and craft informative questions based on those materials. It may not always be helpful to ask each applicant to describe their work history when that information is available on their resume. Instead, identify key positions they have held that relate to the job you are filling. Asking questions about those prior experiences will help you understand how the candidate will fit into your organization. 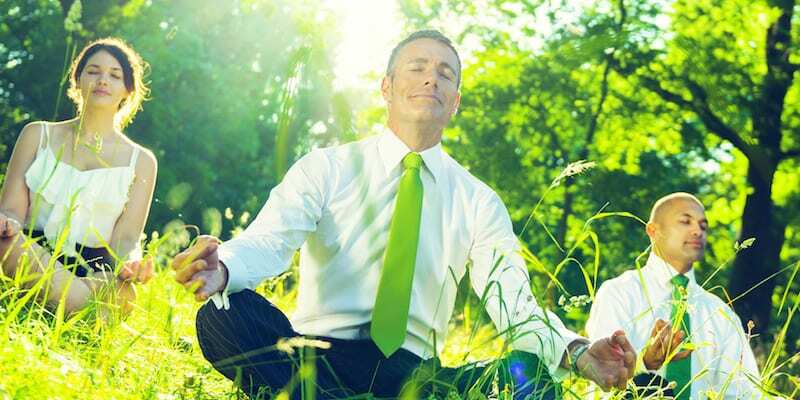 Reducing stress in an interview situation is important to conduct an effective job interview. Given that you are in a hiring position, chances are you’ve been through a few interviews yourself. This process is naturally stressful and it can be difficult to accurately represent yourself when stressed. Be sure to communicate the format and expectations for the interview in advance so that you interviewee can feel more comfortable. After all, when the applicant is not stressed out you are more likely to get genuine answers. When interviewing applicants (especially if there are a lot), bringing in two or three interviewers can ensure consistency. In making a big decision, it is important to have insight from multiple people affected by the decision. Having a couple of people involved in the interview means that you will have multiple perspectives. Different interviewers will pick up on different cues and can discuss their observations afterward. This said, avoid involving too many people in the hiring process. Unfortunately, hiring by democracy can often be too time intensive and ultimately ineffective. Choose a small group of people to help make your final decision. In order to conduct an effective job interview, it is important to ask the right types of questions. Of course, this is closely related to preparing in advance. However, the right questions will likely allow for you to ask the candidate follow-up questions. Behavioral questions are a common type of question in interviews because they allow the candidate to tell their story. Questions like, “Tell me about a time that you initiated a project that increased efficiency…” allow the candidate to detail a personal experience that may provide insight into how they would handle the role available. If there is something about the applicant’s answer that you’d like to know more about, ask them to elaborate. In short, it is not always easy to conduct an effective job interview. However, with an appropriate level of preparation and consideration, it can be. Remember that hiring someone is like making an investment. 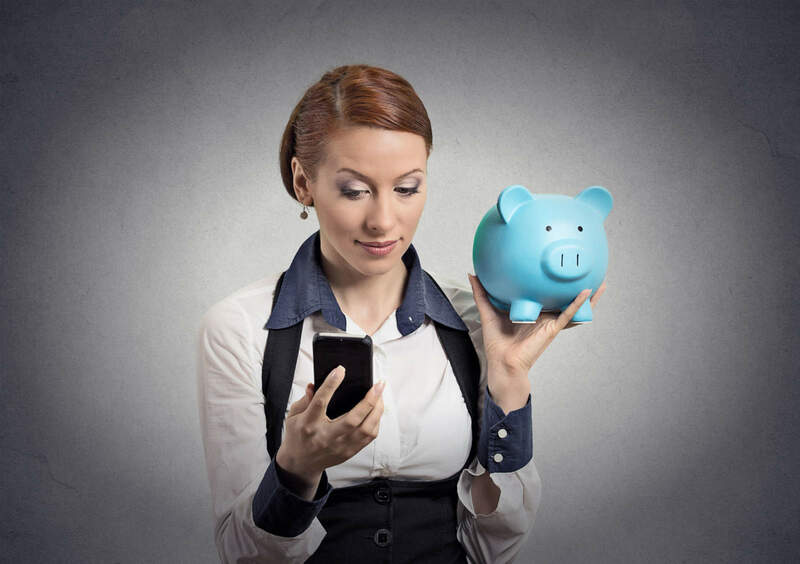 A good investment can grow over time while a bad investment only causes unnecessary expenses. Putting in a little extra work upfront can pay off in a big way down the road! After reading our tips for running an interview, if you interested in interviewing with us you’re in luck! As mentioned above, we’re hiring! So, apply today! Change is scary, especially when it comes to changing careers. There are many things you likely worry about in trying to decide when to quit your job – what if the new job is even worse than the old one, or what if there is no better job out there that has equal or improved pay? Yet, at some point, you have to bite the bullet, so to speak, and find a new job. Eventually, if you are unhappy at work, the pain of staying will be greater than the fear of the unknown. Like with any big change, it’s easy to find excuses and put something off until later, but there are some sure signs that it’s time for a new career. 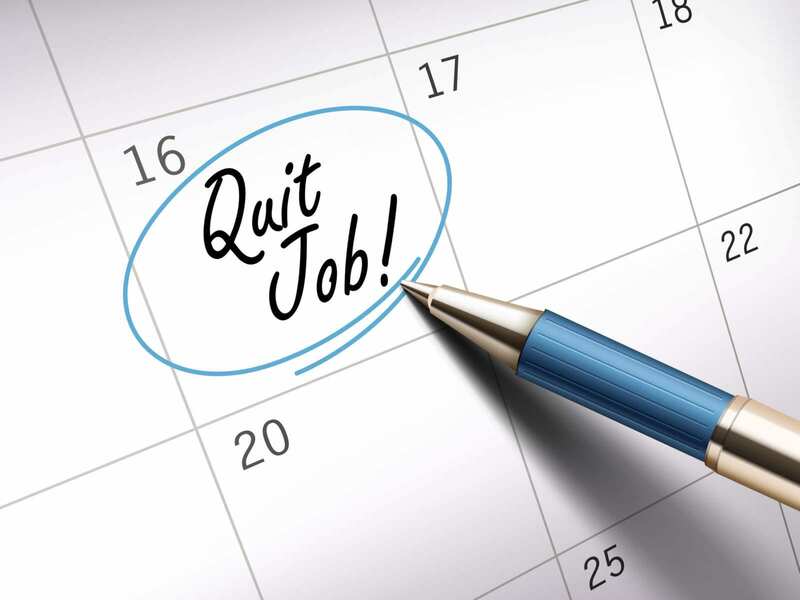 Here are four things to consider in deciding when to quit your job. When we ask about passion, we’re not only talking about whether or not you like your job. We aren’t implying that you have to be excited to go to work every day in order to be passionate. We all have good days and bad days. What we’re talking about is, even on the days when you’d rather sleep in, is there something about your job that inspires you or moves you forward? Is the work that you are doing meaningful on at least some level? Are you still doing the job to the best of your ability, or is your lack of passion causing you to slack at work? If you dread going to work every day, it doesn’t have to be this way. Is the stress from your job affecting your life outside of work? If so, that’s a good sign that you need to move on. Although some days are naturally more stressful than others, if that stress is so consistent that you can’t enjoy your free time without worrying about work issues, a line has been crossed. Remember, work hard, play hard. If you can’t balance these two things at your current job, consider looking for a new one that has more flexibility. Are you still learning new skills? Consider whether or not you are still learning at your job, or if there is room for advancement. If you feel like you’re not passionate about your current position, is there somewhere else within the company for you to go? Maybe it’s not the time to quit your job, but to advance your position within the company. If you are no longer learning or growing in your career, and there’s no possibility of advancement, start looking for your next career move. Do your colleagues bring you down? You may think that company culture is some bogus thing that people talk about to sound cool, but it’s actually very, very important. Think about it. You spend more time with the people you work with than you do with the people you live with or hang out with outside of work. If your co-workers are negative, not friendly or creating a toxic work environment for you, it could be that you aren’t connecting with the company culture. 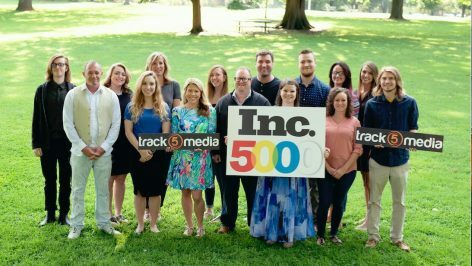 If you are looking for a career change, check out Track5Media! Not only do we have available positions at our company in Lancaster, Pa, but we also manage several websites that connect professionals, from healthcare workers to truck drivers, to new jobs all across the country. 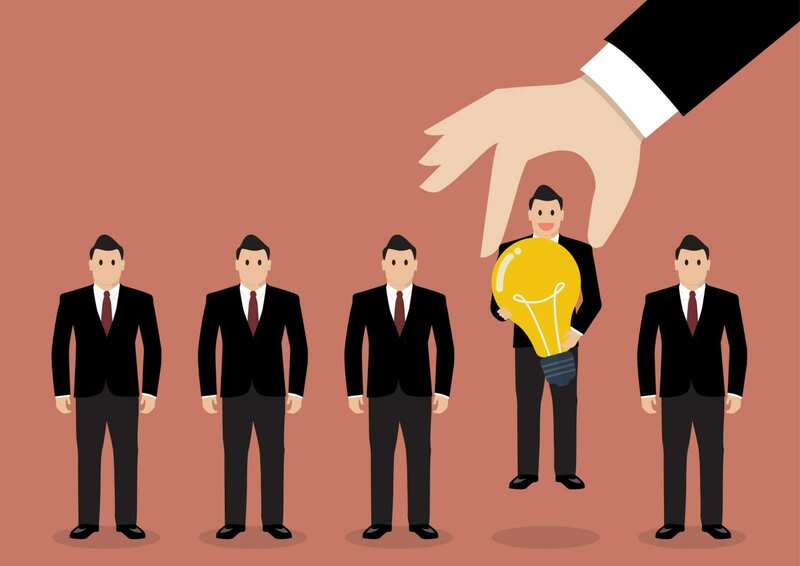 Human resource departments and recruiters are constantly tweaking their hiring methods to engage and hire the top talent. It is important to know the future hiring trends for job seekers so they can find the perfect job. As you look to have a more productive and rewarding career in 2017, take note of some things happening in the recruiting industry. This will give you a slight advantage over other candidates when exploring new career options. For those looking to find a new position or make a career change, 2017 might be the ideal year to do it. One of the major hiring trends for job seekers to note is that 56 percent of teams intend to increase their hiring volume this year. This means that employers want to hire people – they want to hire you! With candidates at an advantage in the job market, let’s look at 5 trends that will affect the way you navigate the employment search in 2017. It is no secret that a candidate referred by a company’s current employee is more likely to get the job. In fact, the team at CareerXroads found that referred candidates are 14 times more likely to get the job than someone who applies without a referral. This will continue to be one of the top hiring trends for job seekers in 2017. Referred candidates make up more than 40 percent of new hires at companies described as one of the best places to work. Referred employees are faster to hire, tend to perform better, and stay at the company longer than others. For companies, referral hiring is effective and provides cost savings. For those looking to find new positions in 2017, ask your potential employer about company referral activity. It can be one way to spot a poor work environment. Companies are starting to understand how critical the candidate experience is to attract top talent. Essentially, the candidate experience during the applicant process is a reflection of recruiter and business performance. Hiring departments looking to keep candidates well informed of their status during the hiring process. They know that regular status updates show that they are an employer of choice. A poor experience will lead to bad reviews on sites like Glassdoor. This is one of the hiring trends for job seekers to pay attention to because they will be able to drive the frequency and form of conversation in 2017. Whether you are on email, phone, or social media, recruiters will be there too. In 2017 one of the hot hiring trends for job seekers will be workplace diversity. 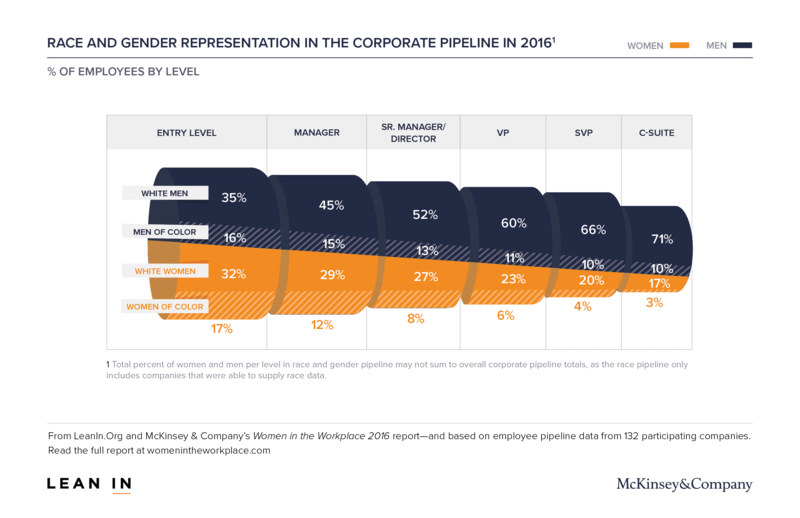 In 2016, the topic gained a lot of attention and companies are now placing an increased focus on diversity in the workplace. 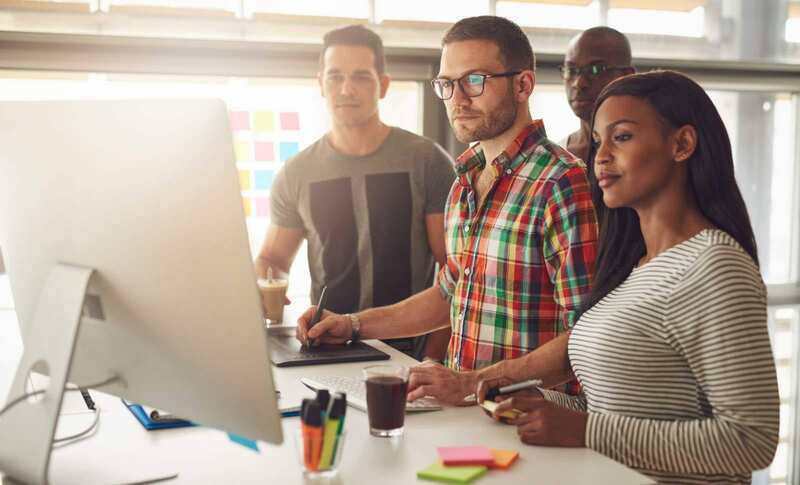 According to a Glassdoor survey, 67 percent of active and passive job searchers consider diversity an important factor when comparing companies and job offers. Over half of recruiters said that their talent acquisition methods are designed to attract diverse candidates. 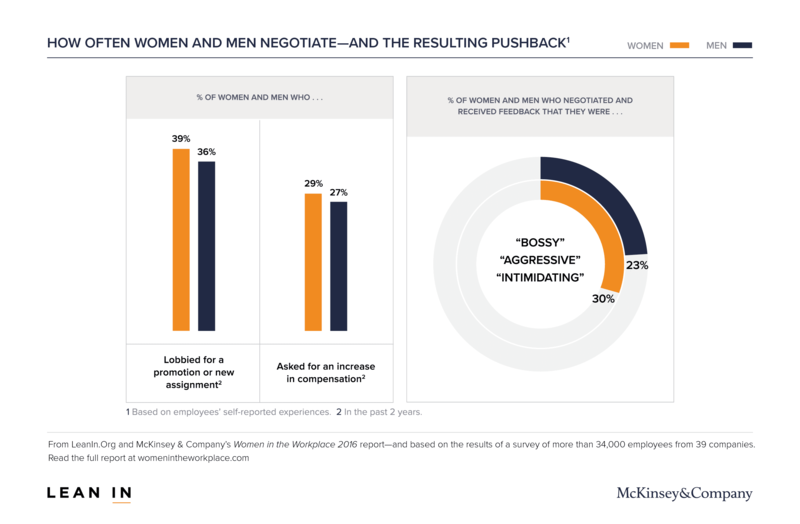 As companies continue to understand the benefit and competitive advantages workplace diversity provide, they will continue to implement strategies to eliminate unconscious bias. 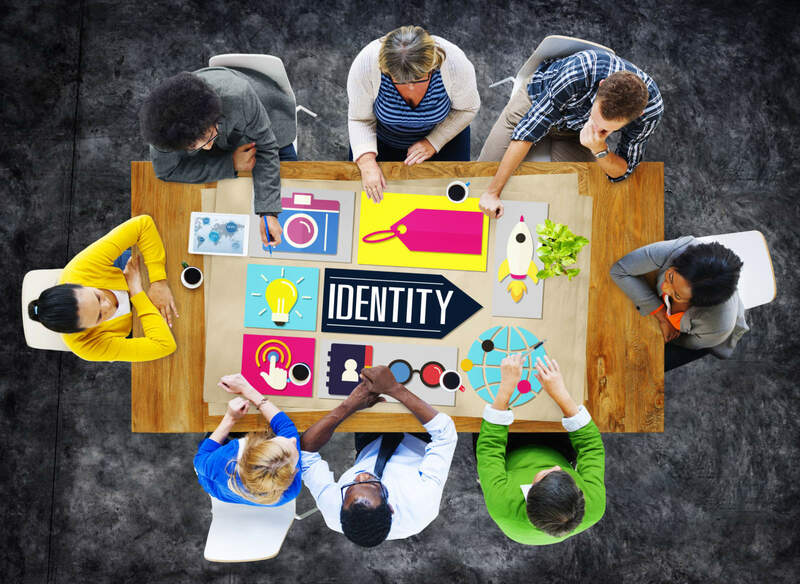 Companies are looking for diverse people with different cultures, values, and skill sets. Diverse companies are great to work for because they typically have a culture welcoming of a wide range of people. For those of you on a job hunt, avoid companies that use cultural fit to disguise hiring bias. Don’t be afraid to ask about the role diversity plays in the organization. There are typically high numbers of applicants for a single position. However, once resumes enter an applicant tracking system (ATS), most of them will never be looked at again. This is not because recruiters don’t want to review those resumes for talent; it’s just hard to do. 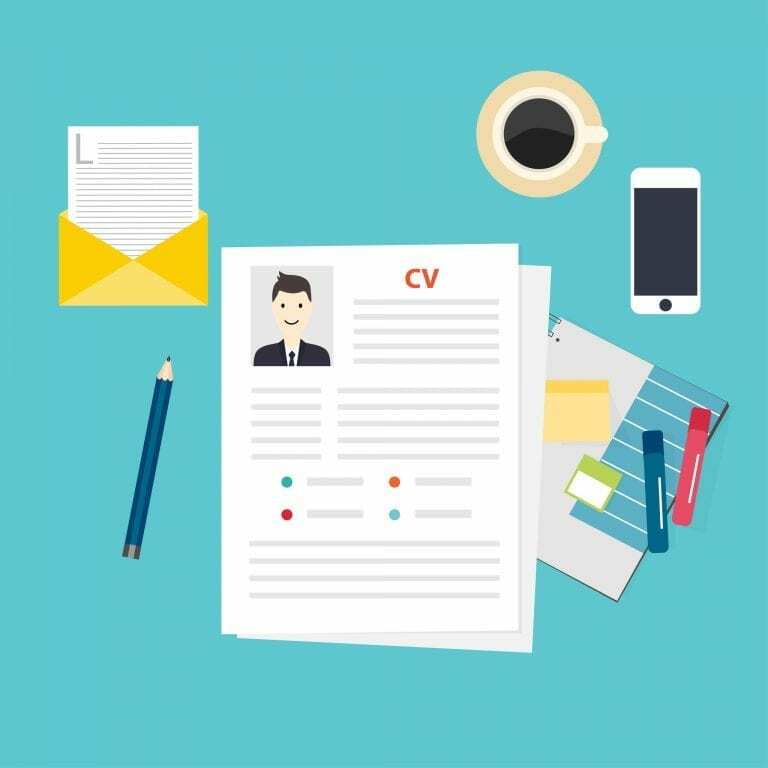 A major pain point in the hiring industry is the lack of technology to effectively and accurately screen resumes of past applicants. New technology is going to help recruiters do just that. Though it is new technology, you should expect it to rise to prominence quickly because talent rediscovery is such a large issue in the industry. Now, companies will not need to pay to source candidates that they have already screened. For highly qualified candidates that may have missed one job from a company, you’re more likely to get a call or email when another position opens up. The decline in full-time positions is one of the hiring trends for job seekers that may cause concern. As companies across all industries use more technological and automated services, many positions will cease to exist. More companies are hiring contractors or freelancers on-demand to solve key problems. You can expect to see many more blended workforces in 2017. For managers, remote management will be a critical skill in order to find success with those employees working away from the office. For job searchers with focused skills, this could be a great opportunity to be contractually hired by companies for their specialized expertise. Since there will be fewer jobs, consider taking temporary jobs while you wait to land a full-time one. They will keep your skills sharp and even help you acquire new ones.